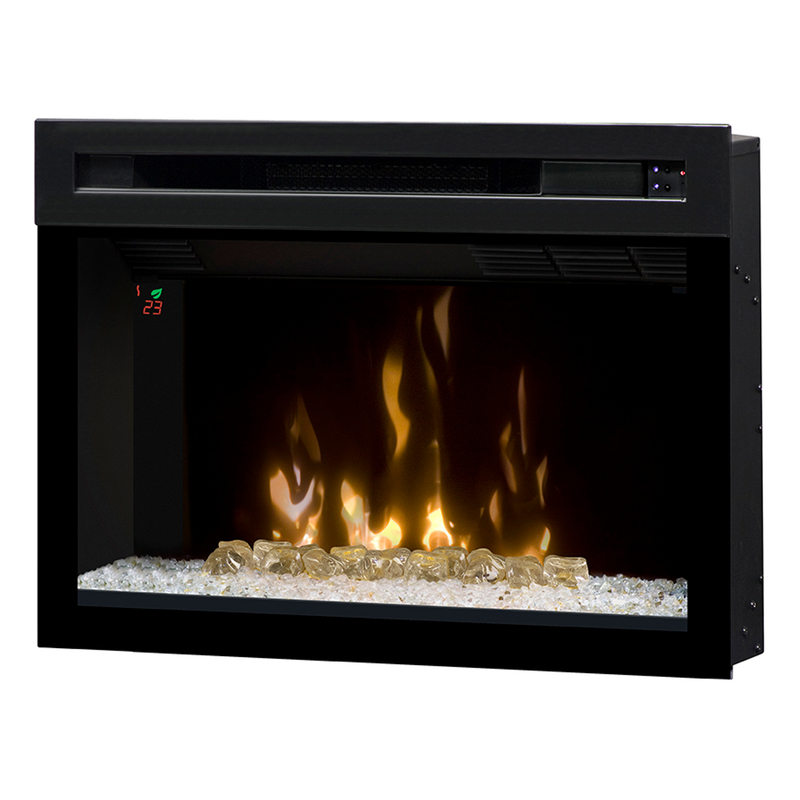 The Dimplex 25″ Multi-Fire XD™ Electric Fireplace Insert PF2325HG has a 120 Volt / 1500 Watt / 5,118 heater. Floating on-screen LED display allows you to view temperature settings and functions easily. The exclusive gWave™ feature brings the fireplace to life with the wave of a hand. Customize the settings then simply wave it on and off. Features a 30Min – 8Hr Timer. 1Yr Ltd Manufacturer’s Warranty. If change is good then the all new Dimplex 25-Inch Multi-Fire XD™ Electric Fireplace Insert PF2325HG offers something truly incredible. The sleek full view design allows an unhindered view of the fantastic glass ember bed, the second generation of Dimplex’s patented inner glow technology. The contemporary Multi-Fire XD™ can accurately reproduce a natural wood-burning fire, gas fireplace or a range of ambient light themes that range from moody and hypnotic, to pulsing and vibrant. Combined with a high-efficiency heating system and intuitive multi-function control options, this new design is the perfect look and feel for any space. Features Comfort$aver™ heating system and gWave™ gesture recognition technology.